MyGameShow - Create your own fun quiz games! Create and host your own question and answer Game Shows for fun and exciting Class Quizzes, Trivia Nights and Party Games! Mirror to a big screen for an exciting immersive TV-style gameshow experience that your live audience will love. Add instant fun to your next party with an exciting game-show style quiz game about the host or party theme. 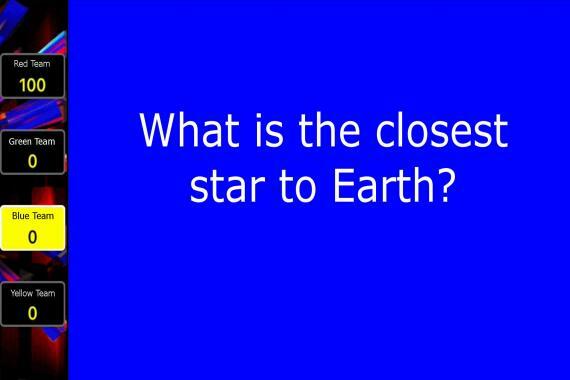 Fun and engaging classroom quizzes, test prep or topic revision. Quick to set up, easy to run! Now your students will look forward to their next pop quiz! An exciting, interactive alternative to pencils and paper - increase participation and team collaboration! Easy to set up and easy to run. 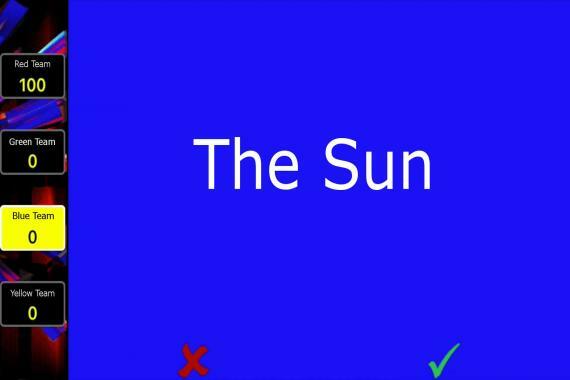 Create your own quiz games very quickly and easily - type your questions and answers directly onto the game board and save for later. Runs on your device, no internet connection required! 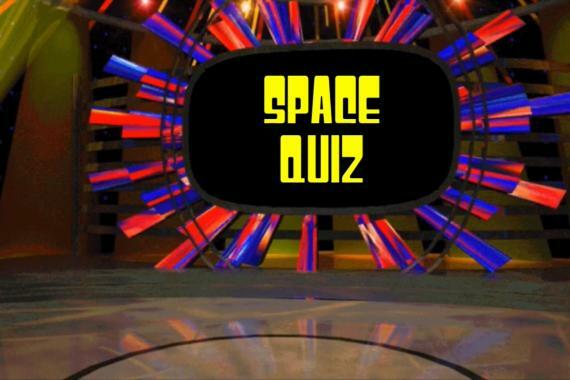 Exciting sound effects and animations give your quiz games the real game-show feel! Fun to play! Easily grab and keep the attention of the players from very start right to the end. Ramp up the excitement with a fully animated title screen and pumping theme music. Choose a player to call out a Category and Points combination. "Stars for 100". Read the question out. The first team to raise their hand gets to answer the question. Tap the Team Name of the team answering the question. Tap the question to reveal the answer - no need to remember the answers yourself! Press the green check mark if the answer was right, or the red x is it was wrong. 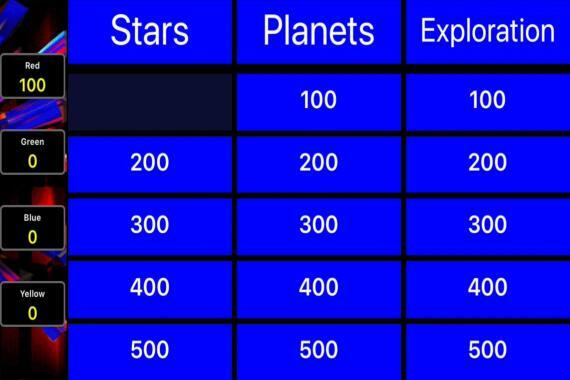 The value of the points for the question will be added or subtracted from the team's score. 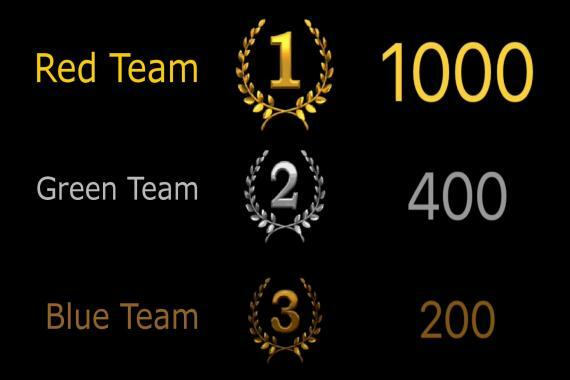 The animated Win Screen appears as soon as all the questions have been answered, tallying up the First, Second and Third placed teams. Copyright © 2018 Plusware Pty Ltd. All Rights Reserved.